August afternoons in southern Mexico are punishing, but when the sun goes down off the coast of Campeche, the air takes on an apologetic softness to reward you for surviving the broiler hours. 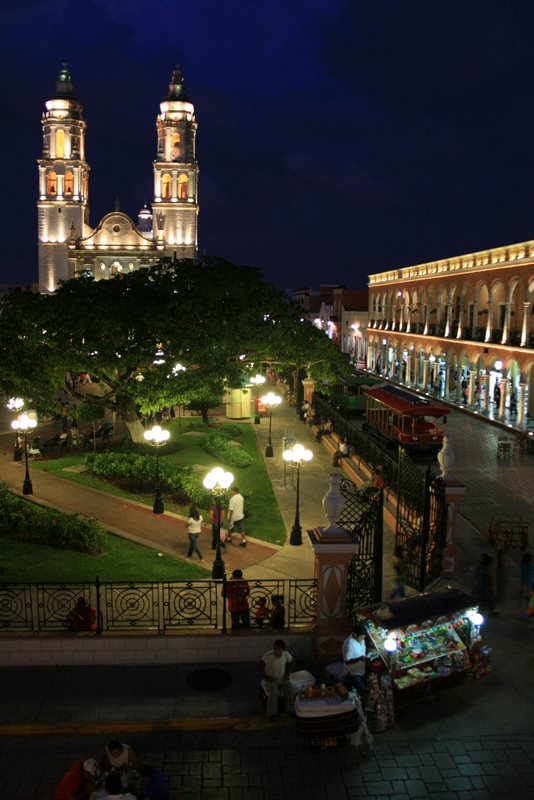 As the sky cools down and the streetlamps warm up, the colors shift from baking browns to glowing reds, under a healing blue that lays low above the Plaza de la Independencia, where people have gathered since 1541. For a few nights I joined that gathering. 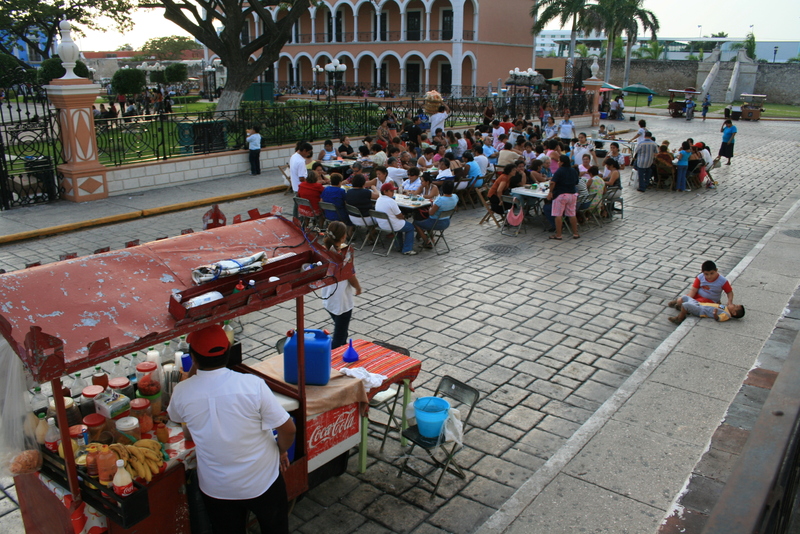 Food vendors lined the periphery, selling the various corn meal permutations, fresh-caught seafood, and meat marinated in bitter orange and cooked with achiote and habanero peppers, campeche style. I’d usually start with a tamale, test myself on something spicy, then make sure there was no shark meat in tonight’s brazo de reina (I’ll eat most animals, but those persecuted lords of the deep: no way) before buying a piece, which I’d eat under one of the large and lovely trees. While I decided which of those best fit the night, I’d watch the locals taking their slow paseos around the park. In the center, a band thumped out traditional music from the spotless gazebo, gazed at by a small flock of kids too old to chase the balloon man, but not quite ready for the nightly soccer tournament. Young parents pushed toddlers in three-wheelers, chubby little heads turning to follow the progress of the toy vendors, infinite infant attention fixed on the toy horses pulled on thread leashes, and I was impressed to never see a single temper tantrum or hear one wisp of whine. Eventually a flock of bubbles would drift by, and distracted delight would sweep across the wee one’s faces. Sitting on the outer edge, I was often among the grandparents, abuelitos remembering their own days pushing strollers and cleaning scraped knees. We’d all smile at each other, no need for words. Around us, the summer’s last crop of crickets would crawl and hop across the warm stone, their song mingling with the trumpets and tuba on stage. 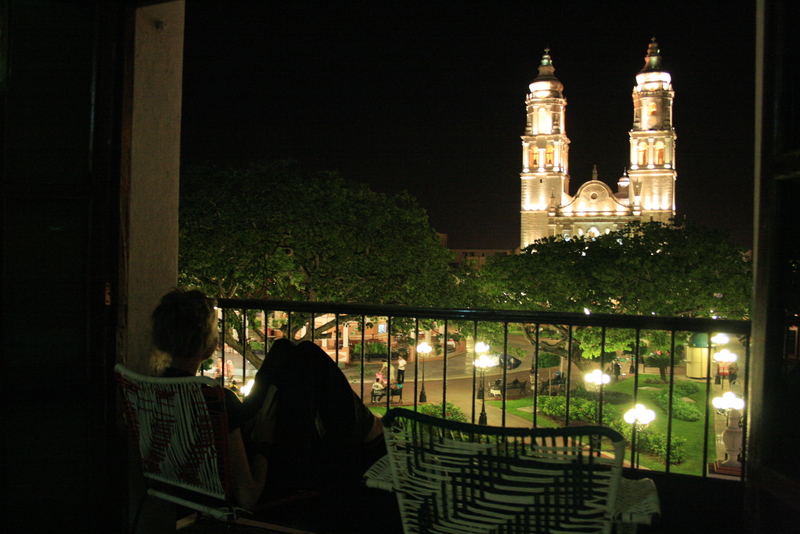 When I’d had enough, lids and limbs grown heavy, I’d return to the hostel, a colonial residence both dignified and personable, located incredibly right on the corner of the plaza opposite the cathedral. I’d sit in the open balcony door with a cup of tea and watch with the cathedral as the families went home, and the stars took over the music. It was among my favorite accommodations of all time, inexpensive, clean, replete with character and right in among the authentic local living. It closed two days after I left. It was 2009, and the Swine Flu craze had already killed most of the competition, Monkey Hostel was among the last. I would sit on that balcony, stunned at all the people who had fled from this experience because of a disease they had a sliver’s chance of contracting. Humans are awful at risk assessment, and the news media makes the smoke of a match somehow cloud out the sun. Memories of those Campeche nights, and all the people’s memories that didn’t have a chance to happen because of overblown fear, come back to me now as I gear up for a new career in European tourism, hearing with dismay that Americans are traveling less this year due to fear of ebola. Ebola?!? We’re talking about Amsterdam, Paris, and Rome, not Makeni, Moyamba, and Monrovia. I understand that disease is scary, and I believe we should be supporting the areas with outbreaks and the search for a cure more than we are, but we are a long way from needing to hide in our basements. Hide in your basement and you miss this stuff. 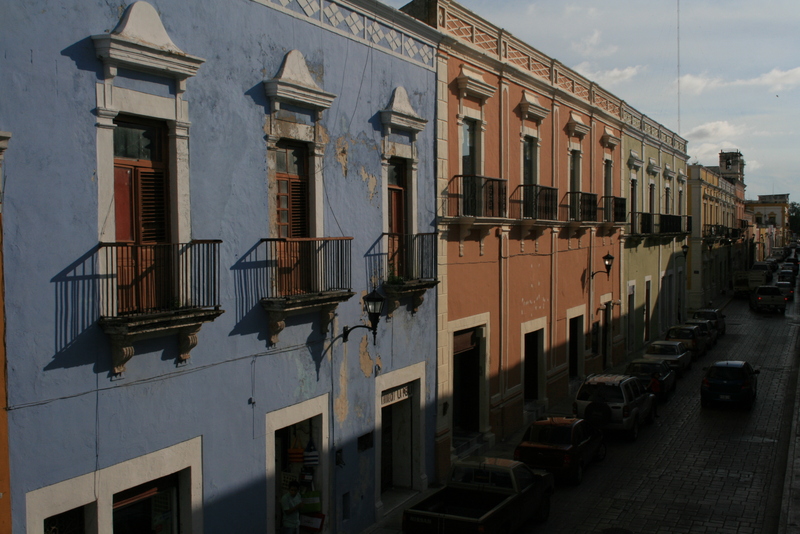 The name Campeche comes from Yucatec Mayan Ah-Kin-Pech, which means “Place of snakes and ticks.” Sure, those both exist, just as do ISIS and ebola, but in all my time there I saw neither, and neither will you. Bad things can happen anywhere, including at home so you may as well get out there and see the world. 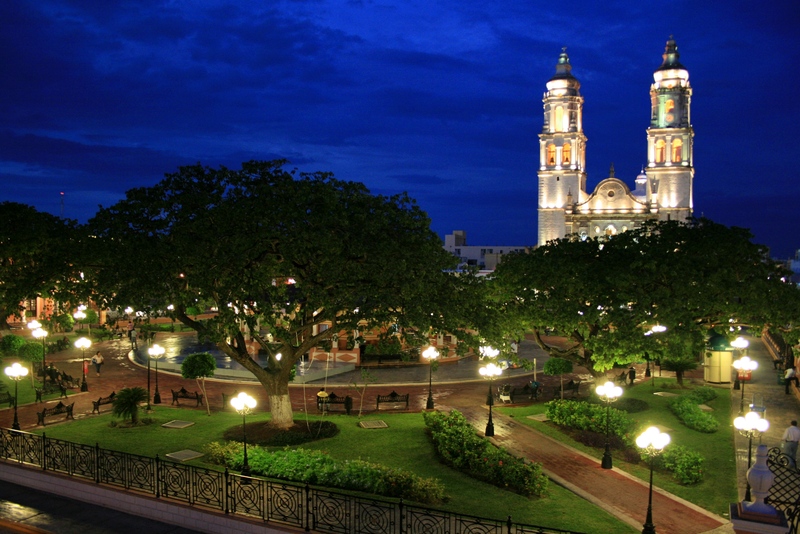 I have never been to Campeche but the way you describe the evenings there I can really picture it.